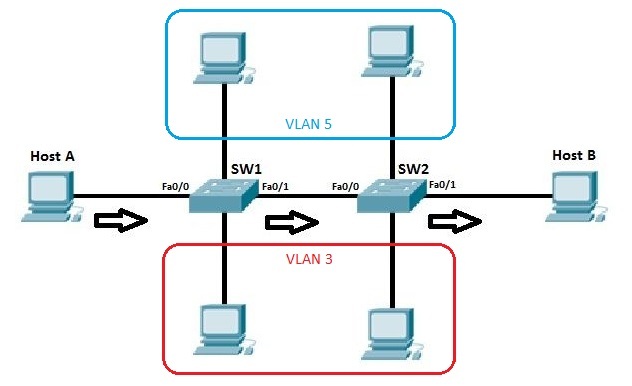 VLANs (Virtual LANs) are logical grouping of devices in the same broadcast domain. VLANs are usually configured on switches by placing some interfaces into one broadcast domain and some interfaces into another. 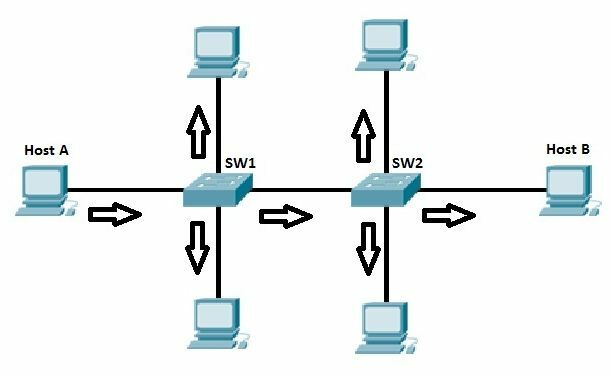 VLANs can be spread across multiple switches, with each VLAN being treated as its own subnet or broadcast domain. This means that frames broadcasted onto the network will be switched only between the ports within the same VLAN. VLANs reduce security risks by reducing the number of hosts that receive copies of frames that the switches flood. you can keep hosts that hold sensitive data on a separate VLAN to improve security. you can create more flexible network designs that group users by department instead of by physical location. network changes are achieved with ease by just configuring a port into the appropriate VLAN. Each port on a switch can be configured as either an access or a trunk port. An access port is a port that can be assigned to a single VLAN. This type of interface is configured on switch ports that are connected to devices with a normal network card, for example a host on a network. A trunk interface is an interface that is connected to another switch. This type of interface can carry traffic of multiple VLANs. In the example network pictured above, the link between SW1 and SW2 would be configured as a trunk interface. All other switch ports connect to end user devices, so they would need to be configured as access ports.